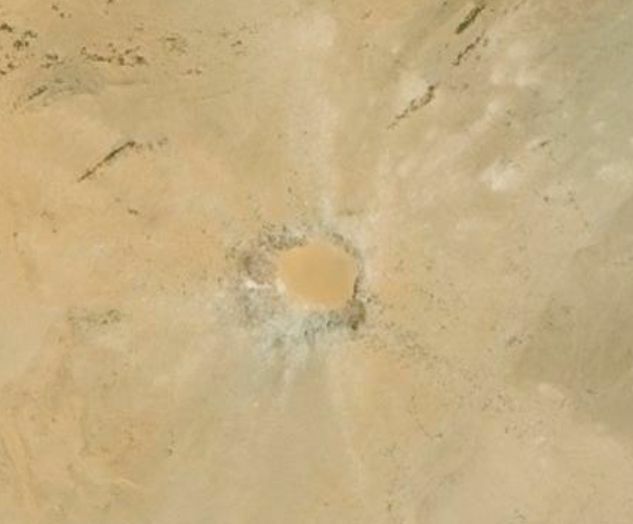 Is this a meteor crater? 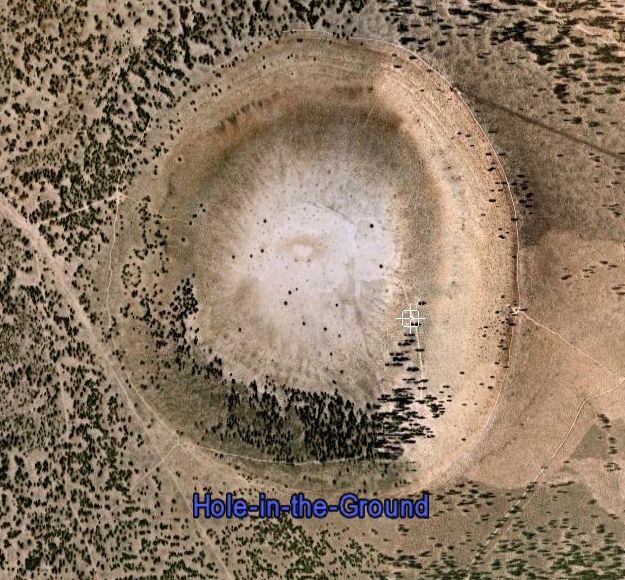 It's not uncommon for someone to post a location and ask, "Is this a meteor crater?". 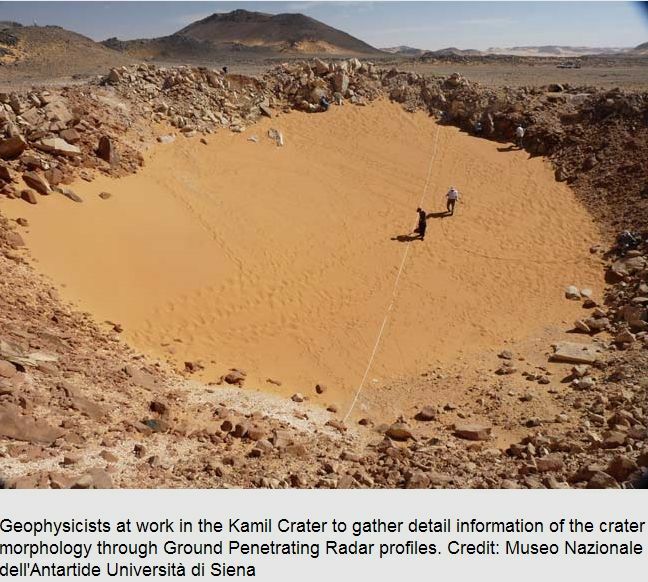 There are several hundred meteor craters authenticated by scientists who study such things. Before actually submitting your post, there is a source you can check to see all of the known and verified craters on the Earth. You can go to the Earth Impact Database. Database of Earth Impact Structures is another list that also includes unproven and proposed impact sites. From within the oGEC forums there is an very valuable resource HERE. 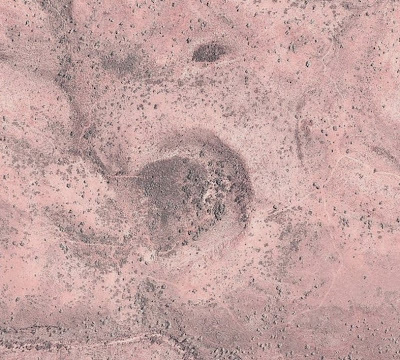 There is something else to check when you find a feature that you think looks like a meteor crater. 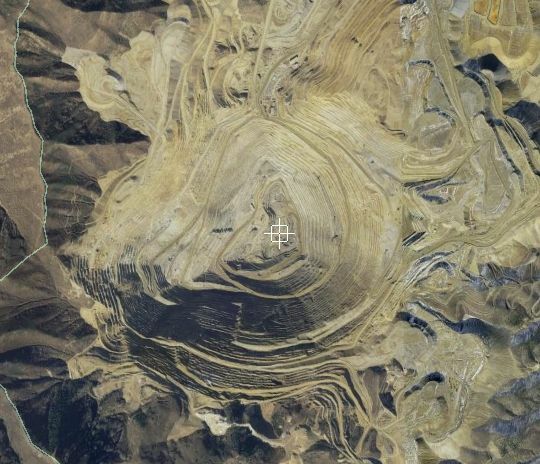 Find the Gallery layer on the left side of the Google Earth viewer screen. Scroll down and locate the Google Earth Community layer and check the box. 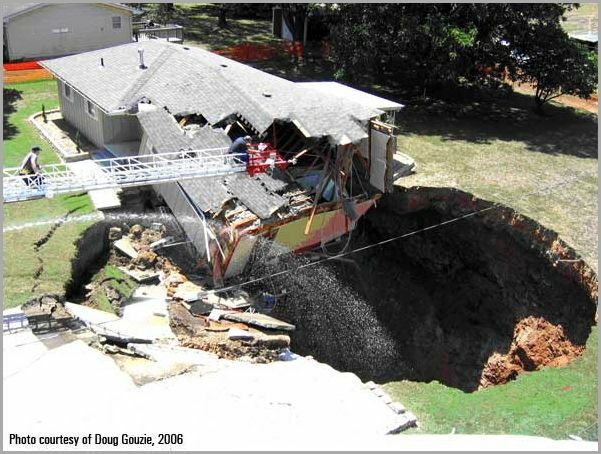 Several members have made collections or individual location posts about craters that they have found. Use the link within the placemarks to take you back to a discussion of the feature in the forum. If there is no placemark, you can add one yourself and ask the question. Something to be aware of is that not all circular features are meteor craters, though some mimic them very well on first impression. The Earth Impact Database identifies ways features are classified as meteor impact craters. Shatter cones are only caused by extreme shock and pressure from a meteor impact (or underground nuclear explosion). 2. Presence of multiple planar deformation features (PDFs)like shocked quartz in minerals within in situ lithologies (microscopic evidence). DANGER: detailed science content You can get a lot out of this just by looking at the images and reading the captions. 4. Morphometry. On other planetary bodies, such as the Moon and Mars, we rely on the shape of the impact structure to determine its presence and type (simple versus complex, etc.). 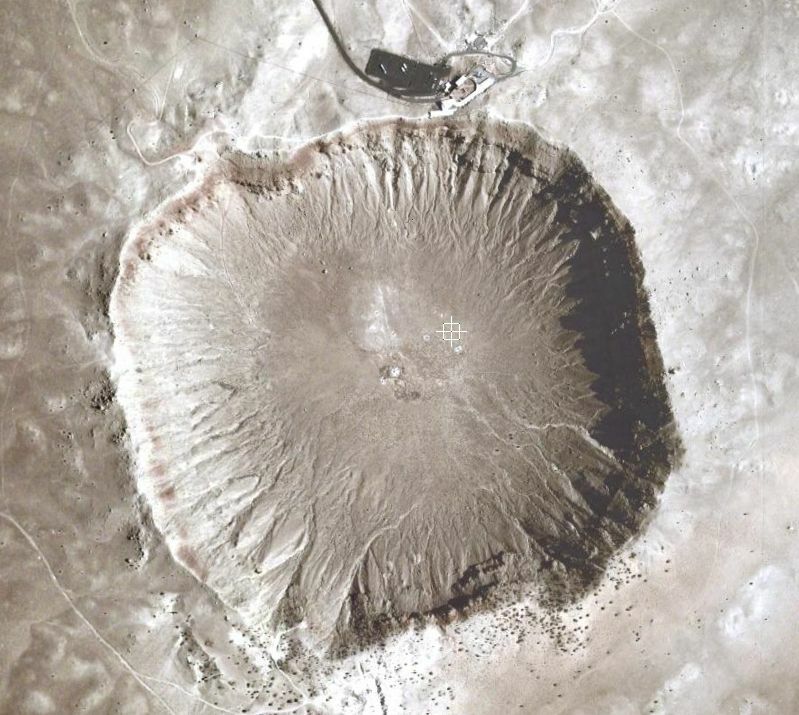 This is a megascopic quality (i.e., too big to be seen unaided by the human eye, thus requiring remote sensing, aerial photography, detailed mapping of multiple outcrops to assemble and view the typically km- or multiple km-size structure). On Earth, recognizing impact structures solely by their morphometry is complicated by two factors: (a) weathering, erosion, burial processes and tectonic deformation can obscure and/or destroy the original shape; (b) certain terrestrial features generated by means other than impact can have comparable circular form (e.g., volcanoes, salt diapirs, glacigenic features), such that a circular structure alone is not sufficient to claim impact structure status. Some buried craters have been revealed solely by geophysical techniques, although drill core is typically required to reveal macro- and microscopic evidence to prove an impact origin. 5. Presence of an impact melt sheet and/or dikes, and impact melt breccias that were generated due to hypervelocity impact (macroscopic). These bodies typically have a crustal composition derived by the fusion of target rocks (i.e., there is no mantle contribution to the melt). Such melts may be contaminated by meteoritic (projectile) components (the latter requires specialized geochemical analysis to detect the projectile components). Melt sheets may be overlain by so-called fallback breccias (referred to as “suevite” by some workers), and material blasted out of the crater may form ejecta blankets about the original central cavity. For large impact events, ejecta can be distributed globally. Impact melt sheets are recognized by careful mapping and rock sampling followed by microscopy and geochemical analysis. 6. Pseudotachylyte and Breccias: Pseudotachylyte is a rock type generated by faulting at either microscopic or macroscopic scales. However, pseudotachylytes are also associated with seismic faulting due to endogenic processes (e.g., earthquakes due to isostatic rebound and plate tectonics), so they are not exclusively impact generated. However, in association with features listed above, they can be a contributory criterion. Pseudotachylyte associated with impact structures may form in radial and concentric fault systems that help to define the megascopic structure of the crater. 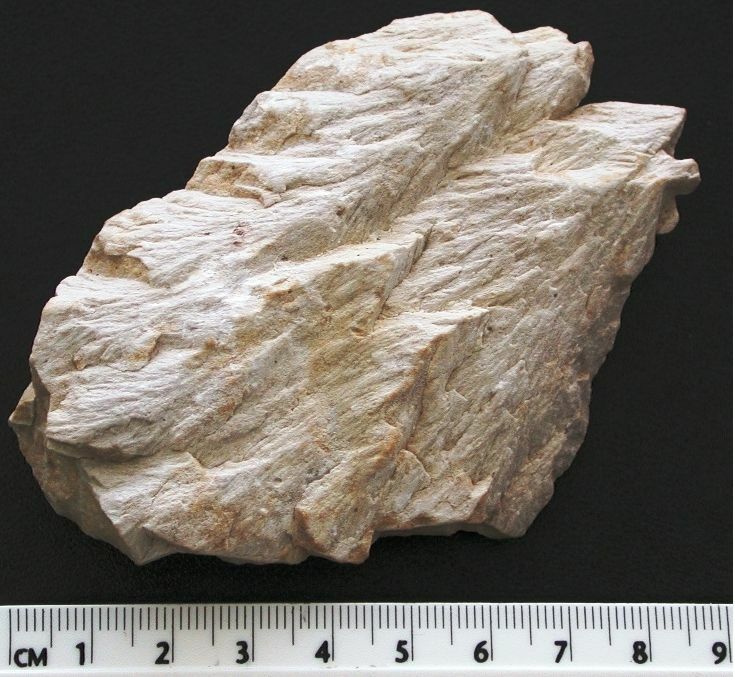 Pseudotachylytes can be included in a family of rocks referred to as breccias. Many different types of breccia can be developed as part of the impact process (including impact melt breccias listed in (5) above), but breccias can also form by endogenic processes. The interpretation of breccias therefore requires considerable care and experience. Moreover, they should not be considered diagnostic of impact, but rather contributory evidence. In terms of relative importance, it is generally considered that criteria 1-3 above are definitive (they all relate to the passage of a shock wave through rock and resulting modification processes), with contributory evidence being added by 4-6 (which result from secondary effects, such as gravitationally driven crater modification). For buried structures that cannot be directly accessed, but are well-preserved as revealed by detailed geophysical techniques (especially seismic data), some workers consider this as strong evidence in favour of an impact origin. Normally, buried craters are verified by drilling and sampling the material directly for evaluation using criteria 1-3 above. Wikipedia sources are linked below; there are many more if you search the web. 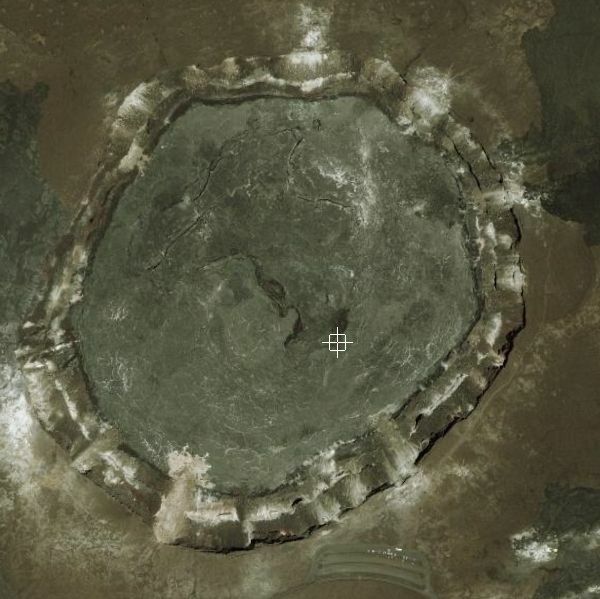 The images below are captured from Google Earth imagery. 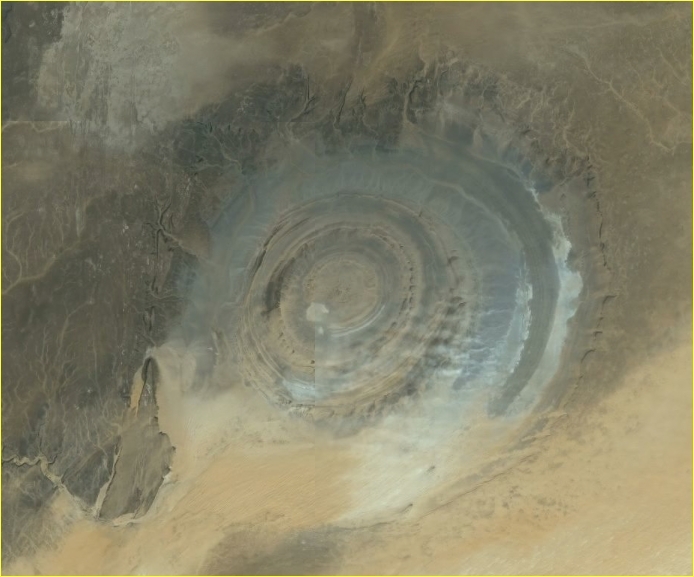 This is Kamil Crater in southern Egypt. It was also discovered using Google Earth. 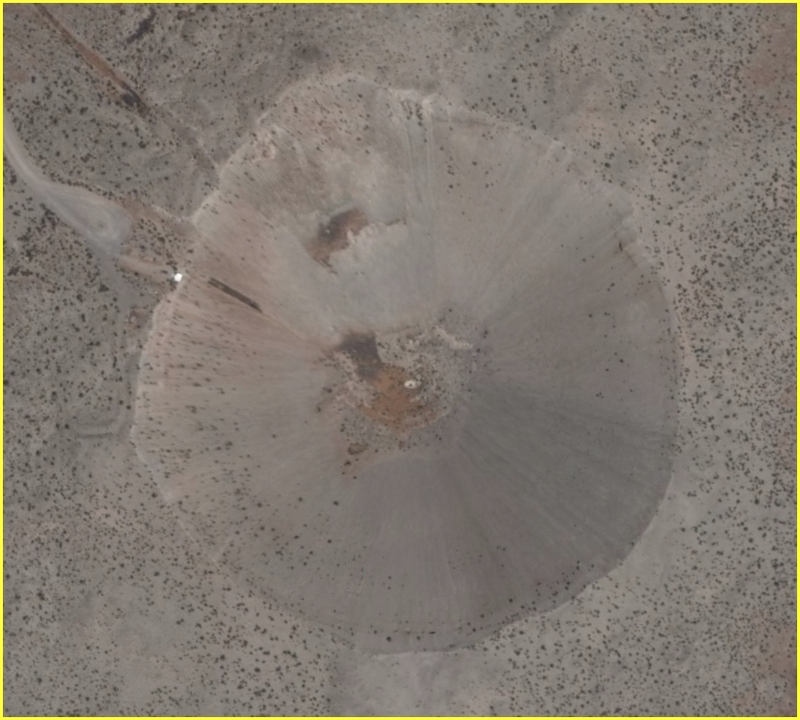 So even though it may look good from orbit, what it takes to verify a potential meteor crater is scientists walking around and collecting and evaluating data. 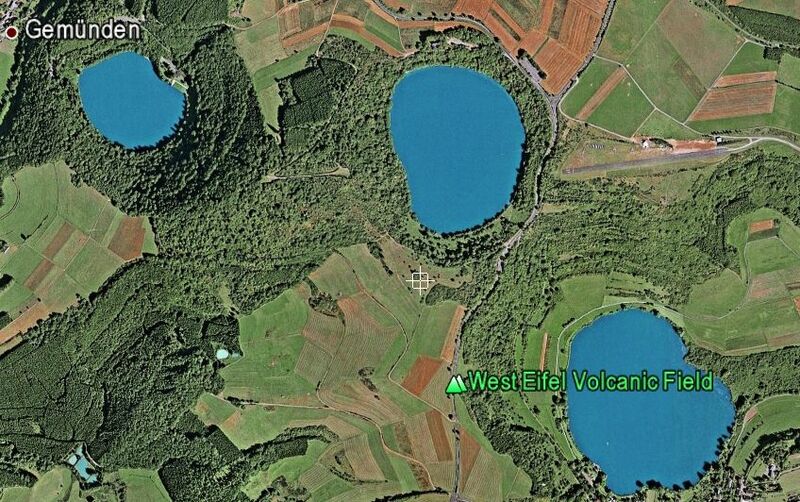 The rest of these images are not meteor craters, though they resemble one. Some are of volcanic origin, but many are not. 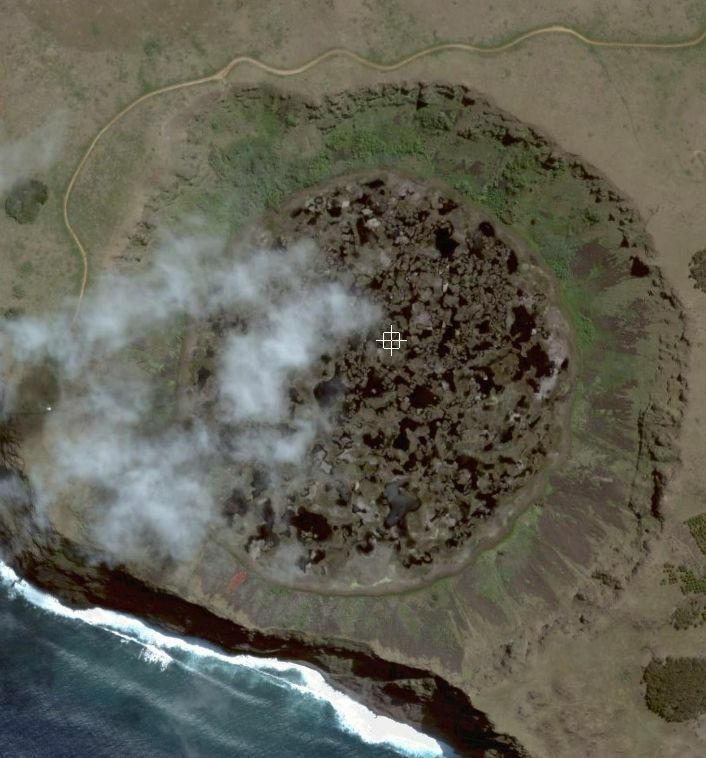 The only way to really be sure of the origin of a crater is the study of macroscopic and microscopic features. 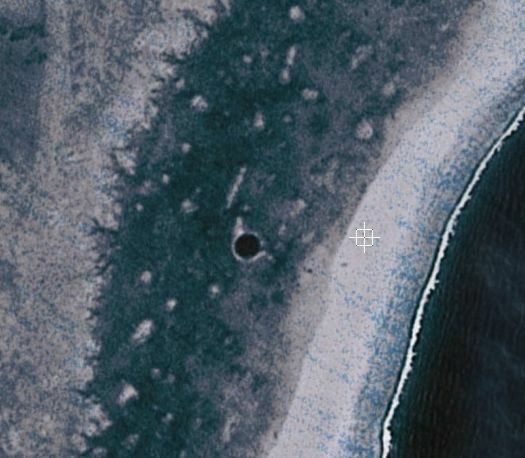 NOTE: If you want to go to the location of these craters on Google Earth without having to copy and paste the coordinates in this post, you can find and download a placemark set below.